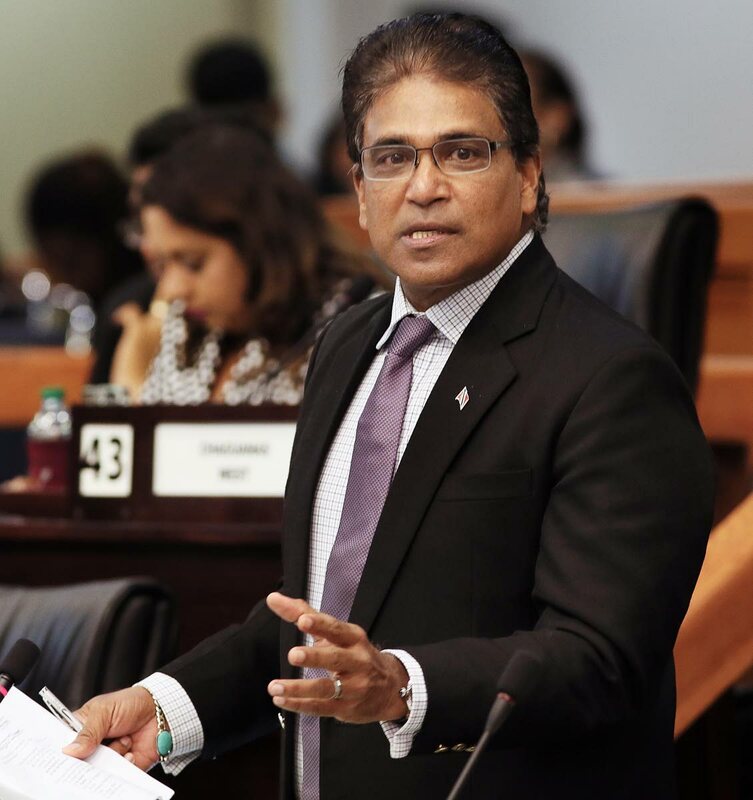 OPPOSITION MP Dr Roodal Moonilal said the announcement by University of the West Indies principal Prof Brian Copeland on a medical school for offshore students at the UWI South Campus is a “hare-brained decision”. Moonilal said it lacks any sound basis and questioned why after four years, the announcement came from a non-elected official and not the Minister of Education, saying a major policy declaration was made in a newspaper interview by Copeland, who is not an elected official. He charged government with setting a dangerous precedent by placing critical announcements in the hands of non-elected officials who are not answerable to the Parliament or the people of TT. He recalled, "Only a few days ago, the country learnt, through an international news agency, that Wilfred Espinet was negotiating a US $1.4 billion loan for a successor company to Petrotrin. "It took an international disaster for the country to learn that Caribbean Airlines was leasing 12 Boeing 737 Max 8 aircraft, and in one day the government announced the sale of Paria Trading Company and revoked the offer to sell on the same day." Moonilal said there are similar offshore universities in Grenada, Barbados, Antigua and St. Kitts-Nevis, each of which has idle capacity, and asked about the research to justify such a faculty at the Debe campus. He said when former Prime Minister Kamla Persad-Bissessar's administration conceptualised a south campus, it was with the intention to house a faculty of law, based on comprehensive research. Persad-Bissessar has also recommended that part of the facility be used for a forensic sciences centre because of the critical need. "For almost four years, the Dr Keith Rowley regime steadfastly refused to operationalise the facility, and its belated decision lacks any reasoned justification, said Moonilal. "The decision is a blow to students of South Trinidad, who currently journey to St Augustine or rent apartments at high costs and compete for limited opportunities." He said this follows Government’s move to place the equally state-of-the-art Couva Children’s Hospital in the hands of UWI, which has no history of administration of a medical facility, and has not made any headway toward its launch. "The modern hospital remains closed amid a growing national medical crisis, caused, in part, by the abrupt closure of the Central Block of Port of Spain General Hospital and displacement of patients. He said scores of elective surgeries have been put off, while modern medical equipment at Couva remain idle and the compound is overgrown. "The Couva institution was also earmarked to earn essential foreign exchange though medical tourism. Reply to "Offshore med school for UWI ‘hare-brained’ – Moonilal"